Upgrade any outfit with this timeless piece! 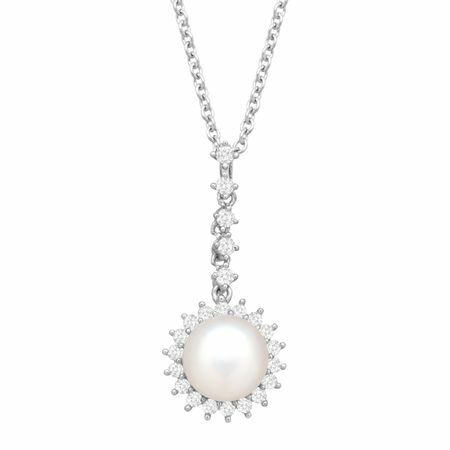 An 8-8.5 mm freshwater button pearl sits in the center of round-cut white cubic zirconia for a starburst effect, suspended from a line of five cubic zirconia in a setting of sterling silver. Piece measures 1 1/8 by 1/2 inches. Comes with a sterling silver 18-inch cable chain with a lobster clasp.